James Kennedy » 90-Second Newbery Film Festival: Chicago Screening 2015! 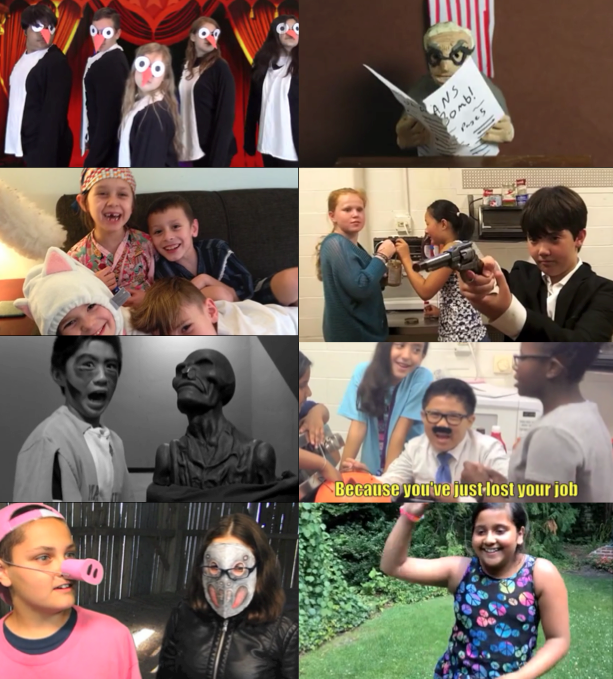 90-Second Newbery Film Festival: Chicago Screening 2015! BREAKING! The 2015 Newberys have just been announced! The 2015 Newbery Medal goes to Kwane Alexander’s The Crossover. Jacqueline Woodson’s Brown Girl Dreaming and Cece Bell’s El Deafo both won Newbery Honors. CONGRATULATIONS to the authors of these great books. I can’t wait to see the 90-second movies of them! 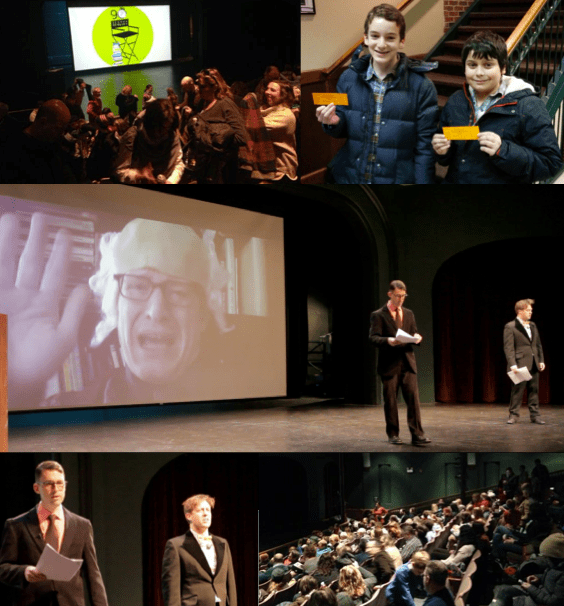 The fourth annual 90-Second Newbery Film Festival premiered on Sunday, January 25! Just like last year, there was a huge last-minute snowfall, but just as last year, it didn’t keep the crowd away. Take that, weather! We filled up Adventure Stage Chicago and it was a great time. This year had another amazing crop of movies. For instance, once again Jennings Mergenthal submitted another incredible stop-motion Claymation video. In the past he’s done Claymation versions of Hendrik Willem van Loon’s 1922 Medal Winner The Story of Mankind (watch) and of Jim Murphy’s 2004 Honor Book An American Plague (watch). Bonus: the author of Bomb, Steve Sheinkin, somehow found out about the video and featured it on his blog! Fantastic! I love the clever way Ada made the squirrel “fly.” And the voiceover performances are great, from the portentous comic-book-narrator voice to the eager Flora to the flat, deadened mother (“Go ahead, it would make my life easier”) to the panicking waitress (“Aah! It’s in my hai-ah! Help meh!”). So many more videos to share. I’m looking forward to bringing them to Oakland and San Francisco (this upcoming Saturday, February 7! ), Tacoma (February 21), Portland (February 22), Minneapolis (February 28), Manhattan (March 7), and Brooklyn (March 8)! Details about screenings, including links to get your FREE reservations, here. Thanks to Brandon, Mary-Kate, Laura, and the rest of the good folks at Adventure Stage Chicago; my co-host Keir Graff; John Fecile for filming the opening bit; Chris Norborg for his uncanny portrayal of John Newbery; superlibrarian (and member of the Newbery committee this year!) Eti Berland for rocking the 90-Second Newbery social media; my financial sponsor Northwestern Settlement; and of course the young filmmakers who year after year make the 90-Second Newbery Film Festival into a success!